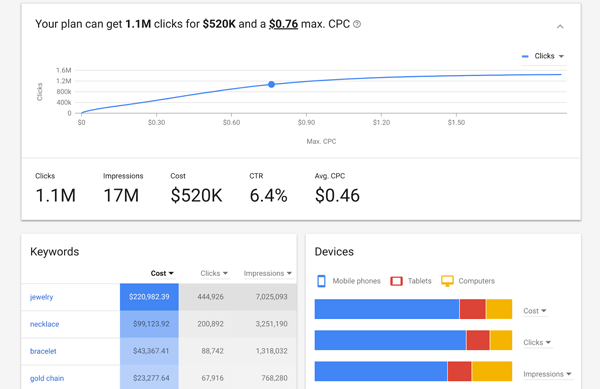 The post Digital Marketing News: New AdWords Tool, Global Digital Adspend Up, LinkedIn Video Filters appeared first on Online Marketing Blog – TopRank®. Should I be trusting my data with this platform? Is this a positive or negative thing I have let into my life? 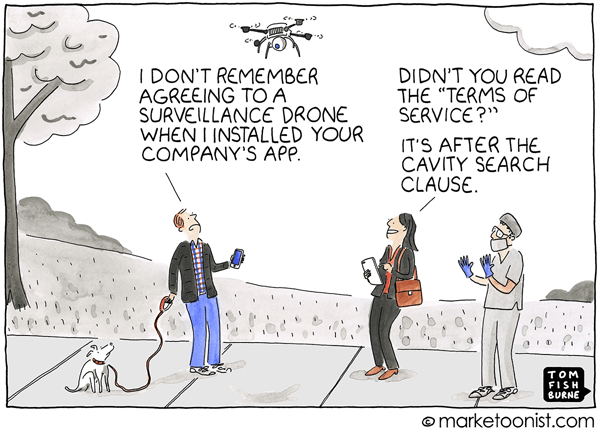 As marketers, we have to ask ourselves the same questions. And we should add one more: Is our social media marketing valuable to our audience? If we’re not adding value, we’re adding to the problem. Social media is in crisis right now. But that doesn’t mean marketers should abandon ship. It means we have to do our own soul-searching. We need to take our social media accounts off of autopilot and approach them mindfully. Here’s what marketers should consider as we weather the social media midlife crisis. A recent Hill Holliday report found that a majority of 18-24 year olds were at least considering abandoning social media. Over a quarter said that social media hurts their self-esteem or makes them feel insecure. 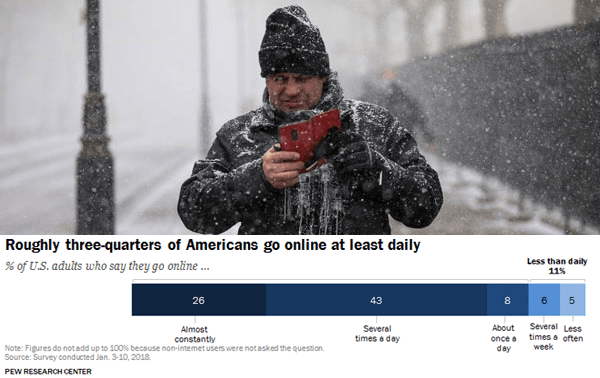 Thirty-five percent said there was too much negativity, and 17% said they were considering quitting because social media makes them feel bad about themselves. Connecting with your brand on social media should make a person feel better. They should feel that your brand shares values with them, is paying attention to them, can help meet needs and solve problems. Is Your Brand Using Social Media to Be…Well…Social? Let’s be honest with ourselves, shall we? No one opens their Facebook app saying: “Gosh, I hope I have some satisfactory brand interactions today.” People use social media to connect with other people – you want to see if your high school best friend had her baby, check out your uncle’s kitchen remodel, or see pictures of your parents’ second honeymoon. Most brands on social media have been pretty lousy at giving people that type of person-to-person interaction. Which explains why people are moving their conversations out of the public eye, into private groups in apps like Facebook Messenger and WhatsApp. How can brands be more social on social media? It starts with transparency and honesty. I love Wendy’s’ sassy Twitter account as much as the next jaded Gen X’er, but snark only takes you so far. Use your social media posts to introduce the people behind your brand and the values they stand for. Then aim for meaningful interaction: When someone reaches out to the brand, make sure the reply is prompt, personal, and useful. Is Your Brand Connecting with People Your Audience Trusts? At the heart of it, there’s a limit to how well your brand can connect with individual people. Even when you’re honest, transparent, and engaging, a brand is still not a human being. The relationship dynamic will always be a little strained. That’s one of the many reasons why influencer marketing works so well. Influencers can co-create content with you and amplify it to their audience on a much more personal basis than your brand could manage on its own. Find the people your audience already follows – in other words, the ones they want to interact with. Then work with these influencers to bring their audience great content that only your brand could have helped create. Working with influencers helps put the personal, social touch back into social media marketing. It puts the emphasis of your brand interaction where it belongs: person to person. When social media platforms first launched, most of us jumped right in. We found our high school classmates. We connected with friends from college. We added co-workers and family members and friends of friends, and we shared everything. Over time, we developed routines. Now, people are finally starting to analyze just what social media means to them. Most will keep their accounts open – but the majority will change the way they interact with the platforms. Sound familiar? Most brands jumped headfirst into social media, developed routines, and then many of us went on autopilot. Now it’s time to question what we hope to get out of social media, and whether our tactics are getting us closer to those goals. And most importantly, making sure our goals match what our audience wants from us. Need help with social media marketing? We have you covered. 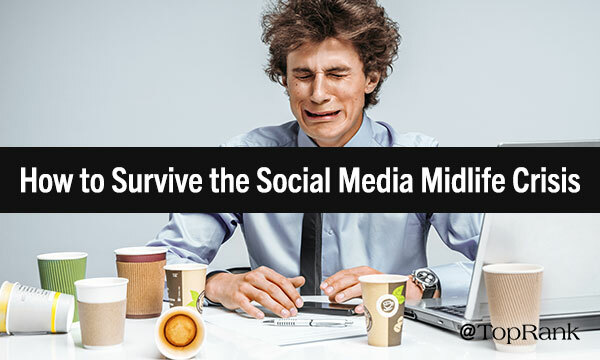 The post How to Survive the Social Media Midlife Crisis appeared first on Online Marketing Blog – TopRank®. Regardless of industry or niche, nearly all B2B marketers-91% to be exact-are focused on leveraging content marketing to reach, resonate and inspire audience action. But budget and resource constraints and lofty lead generation goals-not to mention increasing buyer numbness to marketing messages and the extinction of organic visibility on social media-means you have to get scrappy when designing a content marketing strategy that drives toward business goals. Why? They’re simply not sustainable. Campaigns create spikes in activity that can quickly die out if there’s not a significant investment in ongoing promotion-specifically paid promotion. But does that mean it’s time to drop campaigns from your marketing mix? Absolutely not. Quite the opposite, actually. Campaigns should be intertwined with an overall, always-on strategy to create marketing harmony and get the ultimate value out of all your efforts. Below I highlight a few reasons why. #1 – Integration enhances your nurturing capabilities. Content marketing aims to create multiple touchpoints with your audience whenever and wherever they’re searching-and wherever they may be in the funnel. Campaigns can absolutely drive valuable spikes in traffic, engagement, or conversions, as well as help you target specific audiences or verticals. But you need to be able to nurture the audience you’ve built beyond the confines of the campaign-otherwise you’re not only wasting your budget, but also leaving longer-term value and opportunity on the table. By building campaigns as part of your overall strategy, you can nurture your audience or leads more effectively, as well as enhance the buyer’s journey. #2 – Integration helps you get the most out of your campaigns. Campaigns are often used for promoting a new idea or product, or generating or leveraging the buzz around an industry conference, event or hot topic. But once the newness wears off or the event passes, your campaign can become stale if you fail to iterate on the content or neglected to consider how it could enhance your other efforts. Regardless of how successful your campaign is, your work shouldn’t stop once you’ve released everything into the wild. You want the momentum to continue so you should be continually optimizing your campaign for maximum performance and longevity. But campaign content is also the perfect repurposing candidate, helping fill your editorial calendar, find opportunities for extending the conversation, and enable you to experiment with other content forms-all while helping you keep the people, trends or topics covered in the campaign top-of-mind. The bottom line here is that you can get more out of your campaign by thinking strategically about how the content can be refined and used again and again to drive continued success. #3 – Integration helps you build stronger influencer relationships. 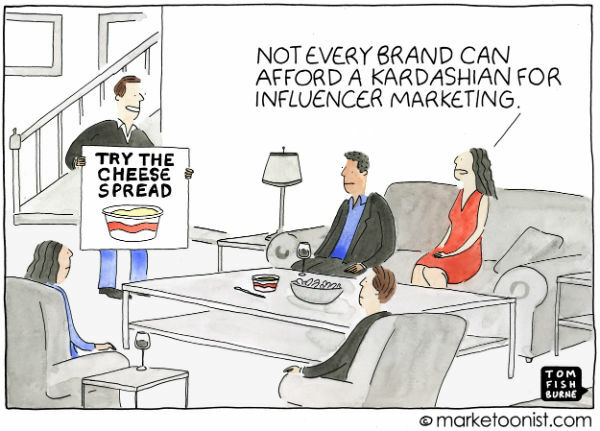 If you’re looking to add influencers to your marketing mix, a campaign featuring influencer talents and perspectives can be a great starting point. Oftentimes, an influencer campaign will feature multiple experts and content types, but it’s anchored by a big and snazzy asset-which not only gets influencers excited about what they co-created with you, but for future opportunities, too. But the key to influencer marketing success is building lasting relationships that are mutually beneficial-not just reaching out when you have a need. Baking ongoing influencer relations into your overall content marketing strategy will help you focus on building those relationships, while also boosting your campaign efforts. #4 – Integration helps you create a steady drumbeat. There’s no denying that campaigns are invaluable for generating buzz and excitement, but once the campaign has run its course that excitement and relevance will fade. By coupling your always-on program with campaigns, you have the opportunity to create a steady drumbeat of awareness and thought leadership to drive traffic, engagement, and leads, while also adding pops of variety to reinforce your brand and give your audience a little something special. At the end of the day, there’s no doubt that campaigns can be wildly effective and successful. However, those results aren’t sustainable if there isn’t a larger integrated strategy backing it up. So, when it comes to developing your next campaign, think critically about how it can enhance within your overall content marketing strategy, how you can sustainably promote and repurpose content, and create harmony to get the most bang for your buck. Looking for more B2B content marketing insights or inspiration to help you recalibrate your strategy, check out this roundup of six B2B brands using content marketing to fuel their business. The post Better Together: Why Your Content Marketing Campaigns & Always-On Programs Should Work in Harmony appeared first on Online Marketing Blog – TopRank®. 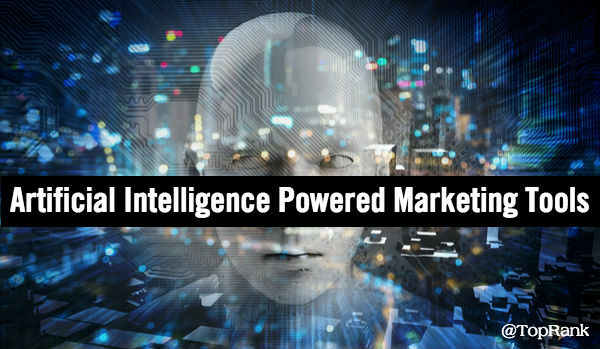 The post Digital Marketing News: More Constantly Online, Google’s Digital Graffiti, AI’s Big Data Push appeared first on Online Marketing Blog – TopRank®. 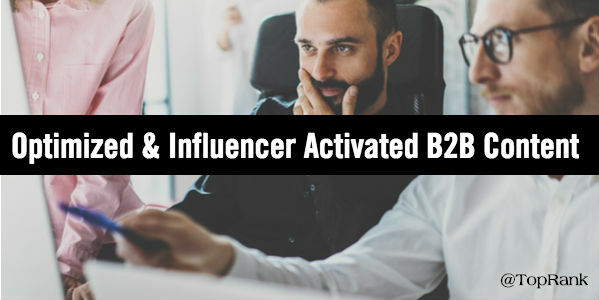 The post 3 Reasons B2B Marketers Need Optimized & Influencer Activated Content appeared first on Online Marketing Blog – TopRank®. 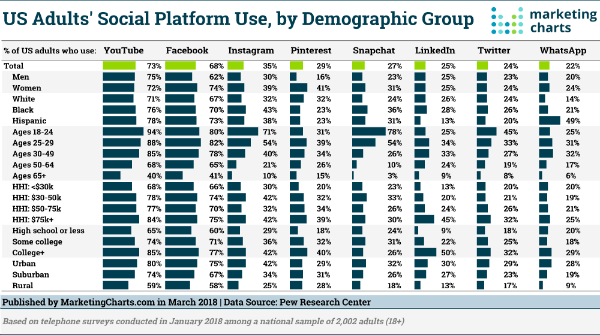 The post Digital Marketing News: YouTube Beats Facebook, Twitter Verify for All, Gen Z Bailing on Social appeared first on Online Marketing Blog – TopRank®. The answer, of course, is podcasting. These long-form audio programs first emerged in the early 2000s. Back then, they were a niche format for hobbyists and tech nerds (like me). But the rise of the smartphone brought podcasts to the masses. Now, there are hundreds of hours of programming available on every conceivable subject, in every genre from true crime to horror to musical. But we haven’t hit content shock for podcasts – it’s still a growing market. If your brand is looking to boost thought leadership and reach a new audience, now is the perfect time to add a podcast to your content marketing mix. Here’s what you need to know to get started. They’re organized in an RSS feed you can subscribe to. Why Should B2B Content Marketers Care about Podcasts? The way that people consume podcasts make them an ideal channel for your high-quality content. People tend to listen while working out, driving, cooking dinner – in other words, podcasts fill sizable chunks of otherwise idle time. You wouldn’t expect someone to read your white paper or eBook during their morning commute, but they might settle in with your latest episode. What Marketing Goals Can a B2B Podcast Serve? 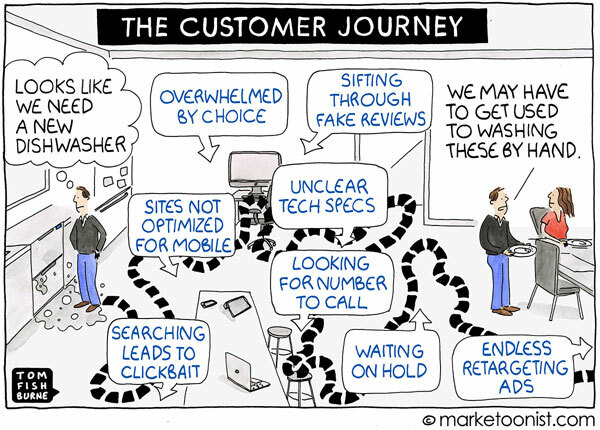 Podcasts work best for the attract and engage phases of the customer journey. You can use your podcast to build brand awareness and establish thought leadership in your industry. Thoughtful, valuable content can help your brand stand out from the competition, and encourage listeners to build a relationship with the brand. The most successful B2B podcasts tend to be in the Q&A or panel discussion style. Hosts can welcome new guests each week to share their insight. This type of format is perfect for influencer marketing: You can boost your internal subject matter experts, form relationships with influencers in the industry, even feature your potential prospects. The Dell Luminaries* podcast is a great example of thought leadership B2B podcasting. Each episode features a guest with useful – and often fascinating – thoughts to share with the audience. Some guests are internal experts at Dell, while others are influential entrepreneurs and executives from across the tech industry. Since podcasts have a low barrier of entry, they’re a good way to reach a niche audience, too. 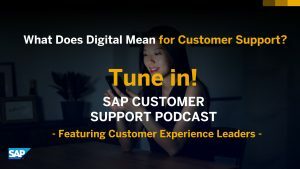 SAP’s recently-launched Customer Support Podcast * is a worthy example. Each episode features quotes from a wide array of influencers, internal and external. These podcasts succeed because they do what all great content does: deliver valuable information to a specific audience in an entertaining format. It’s never been easier to launch a podcast. There are dozens of free and low-priced tools available to streamline every part of production, from recording to amplification. Here’s a quick rundown. To start recording, all you really need is a laptop and a decent-quality USB microphone. We get professional-sounding results with a Blue Yeti. For my personal podcast, I use an MXL 770. Either are more than adequate to get you started. Later you can invest in a whole sound studio’s worth of mixing boards, microphones, and accessories if you like, but start simple. If you plan to interview guests on the show, likely you will be recording remotely over Skype, Google Hangout, or another VOIP. Don’t try to record your guest’s audio through your computer speakers or phone; have them create their own recording on their end, then edit the conversation together. We’ve been experimenting with Zencastr, which handles recording and VOIP coordination automatically, and have been pleased with the results. For recording software, Audacity is still the best entry-level program. It’s free, has a host of useful features, and you don’t have to be a sound engineer to get great audio. Once your audio is recorded and edited, you need a place to host the file, and an RSS feed to submit to podcast directories. You can host the files locally and create your own RSS feed in raw html, but there are plenty of free-to-cheap platforms that can handle the grunt work. Most use an uploading interface similar to publishing on WordPress. So if you know how to upload a blog, you can create a podcast feed. We have had good results with both Libsyn and Podbean. Both have free options and inexpensive paid plans with a few added features, and both provide stats that can help you track listenership. Most importantly, they both will walk you through the process of listing your podcast on various directories: Google Play, iTunes, Stitcher, Spotify, and more. That’s a crucial step in making sure your podcast is available on your audience’s preferred listening platform. Once your podcast is published, there are a few easy ways to get the word out and start building your audience. First, activate your existing blog audience: Post a blog post for each episode with the audio embedded (Libsyn and Podbean both enable live-streaming embedded audio). Include an optimized title and meta description and a transcript or SEO-optimized introduction. And, of course, make sure to include a call to action to subscribe! If your podcast includes influencers, create social media assets for them to share, including messaging and custom images. Share the podcast on your social channels as well, making sure to tag your influencers. Podcasts are a rare type of content marketing: Interest in them is steadily growing, people go out of their way to seek out new content, and they’re relatively cheap and easy to produce. B2B marketers are constantly challenged to deliver the right content to people in the right format to earn their attention. If your target audience has a morning commute, a workout schedule, or other quiet time to fill, your podcast may be just what they’re waiting for. Try these 10 marketing podcasts to make your own free time more productive. *Dell and SAP are TopRank Marketing clients. 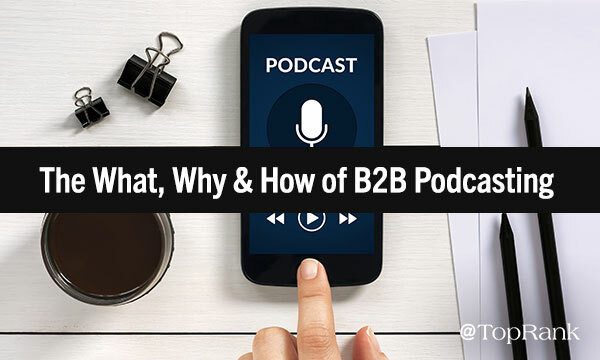 The post B2B Podcasting: What, Why and How appeared first on Online Marketing Blog – TopRank®. With the average human attention span lasting just 8.25 seconds, there’s something to be said about those snap judgements. As a marketing copywriter who’s working day in and day out to woo my audience with clever prose and charming insights, it’s my job to make a great first impression on my audience. If I fail, they’re going to move on to something (or someone) else. And I don’t want my audience dating around – I’m after that exclusive kind of relationship. However, simply writing great content won’t get the job done. You need to have multiple tactics in play from SEO to social and beyond to really woo your audience whenever and wherever they are. 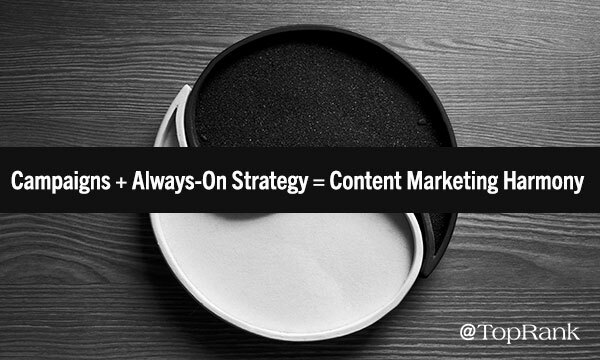 It’s why our own client programs at TopRank Marketing have an integrated content marketing strategy driving them. Content, while a key component, is only a piece of our formula for fueling results. To help you elevate your content marketing efforts to “swipe-right” status and spark instant chemistry with your audience, here are a few of my tips inspired by my time on the front lines. #1 – Looks are everything, which means visual and visually appealing content is an imperative. In the app and online dating world, looks are everything when it comes to make a first impression. Profile pictures are your first glimpse into who your dating prospects are, and the more interesting and compelling, the more likely it is that I’ll stop and give the full profile my time. And, as you may have already guessed, the same can be said for your content when it comes to visual appeal. If visual content isn’t a key component of your content marketing mix – from native or produced video on social to the actual structure of your content – it probably won’t do much to stop scrolling thumbs from passing over you. What kind of visual content am I talking about? A header image should always be included, but in today’s digital marketing landscape video, infographics, charts, tables, and even special formatting. 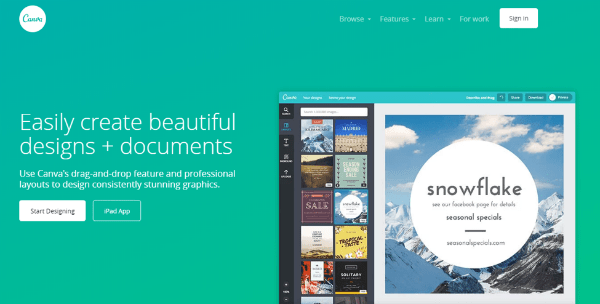 Bulleted lists, article structure, broken up paragraphs, and other formatting elements give readers the impression that your content is easy to digest. A wall of text is a huge turnoff. For images that really stand out, avoid using common stock photography – odds are, someone else has already used it for a similar topic, which rings a little too close to catfishing for my taste. Instead, go for sources that other brands avoid like Flickr’s creative commons, make your own custom image in Canva, or get out your smartphone and snap your own pic. Even better, if you have an in-house designer, take advantage of their talents to create something custom. #2 – Your average pick-up line isn’t going to cut it on social media. Whether your audience enjoys longer form content or want you to keep it short and sweet, organic visibility is next to zero on Facebook these days, and Twitter and LinkedIn feeds move fast and have their own ways of prioritizing content. At the most basic level, this means that perceived value, engaging messaging and visuals, proper hashtag usage, and authenticity are non-negotiables. Next, this means that paid social promotion is a new norm for achieving reach. And finally, influencers can provide a killer hook to capture attention and inspire action. #3 – Cease and desist all SEO catfishing. When it comes to online or app dating, catfishing is always a risk – which adds a level of skepticism in the minds of any single looking for love. If someone has a profile picture I’ve seen associated with a different name, comes across as fake, or is just crazy out of my league, I’m definitely not swiping right in an effort to avoid a catfish. When it comes to infusing SEO into your content, the days of prioritizing the search engine above your audience are long gone. Not only are old-school tactics like keyword stuffing make for the most enticing or accurate read, you’re just asking for search engines to put a permenant swipe-left on all your content. In addition, clickbait title tags and meta descriptions need to go to (this goes for any social promotion, too. Simply put, you need to be walk the line of honesty and intrigue with your audience, or else you’re no better than a catfish and you’re audience will bounce. 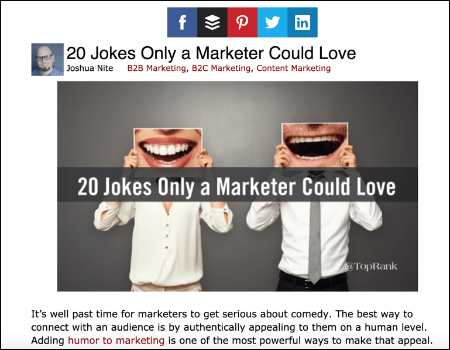 A great example of transparency and piquing interest comes from fellow TopRank Marketing employee Joshua Nite. He’s the king of injecting humor into his writing, which translates into his title meta content to pull people in from search (see picture below). Not only are his descriptions funny, but they’re also accurate to what’s on the page. And it works, too, because his posts have some of our highest organic traffic. In fact, his post, 20 Jokes Only a Marketer Could Love, had an average CTR of 11.42% in SERPs over the last 90 days. #4 – Know your type to find perfect matches with digital advertising. If someone’s a gym junkie, I’m swiping left. If someone’s a big football fan, I’m swiping right. Why is this? One’s my type and one isn’t. And knowing my type, I can widdle down my options and find a better match than if I was just playing a guessing game. If I give my own profile the same treatment, I can expect I am attracting a like-minded person. Understanding who I want to attract and who I don’t, ensures that I am only receiving quality matches and gives me ammo to reach out to them with. This same practice should be applied to your paid social promotion where you can target specific audience segments with customized messages. 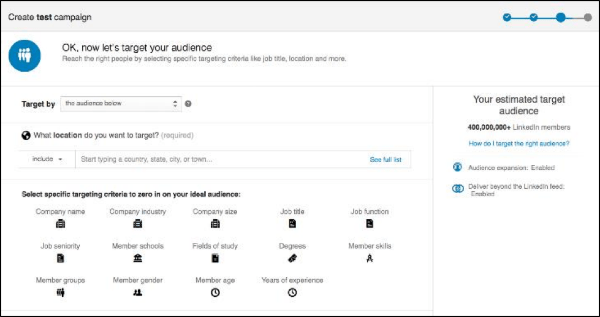 Before launching paid content promotion, you should know the audience segments you want to target using their job title, company size, age, location, values, and interests using your website analytics service. And if you have a Facebook Pixel on your site, you can discover even more helpful information about your audience and how to target them. Once those segments are defined, you can use solutions like LinkedIn Campaign Manager or Facebook Ads to target those individuals with personalized posts that are more relevant to them. Through targeted posts, you can feel confident that you’re attracting the right audience. When it comes to reaching, resonating, and captivating your audience, you know simply publishing a good piece of content isn’t enough. Like creating swipe-right-worthy profile, you need to go beyond a simple photo and one-sentence bio if you want to attract well-matched prospect. Integrating a mix of interconnected tactics such as compelling visual content and content infrastructure, honest and intriguing SEO, smooth social promotion, and digital advertising that hones in on your perfect match, are key for enticing your audience. Once you’ve gotten the “swipe,” what comes next? Captivate them with good conversation (aka: get them to stick around for all 800+ words.). For your best chance at retaining your audience, check out these pointers for consistently creating quality, engaging content. 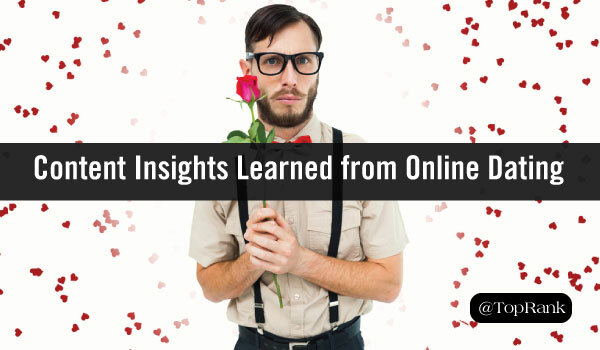 The post 4 Integrated Content Marketing Insights From the Trenches of Online Dating appeared first on Online Marketing Blog – TopRank®. 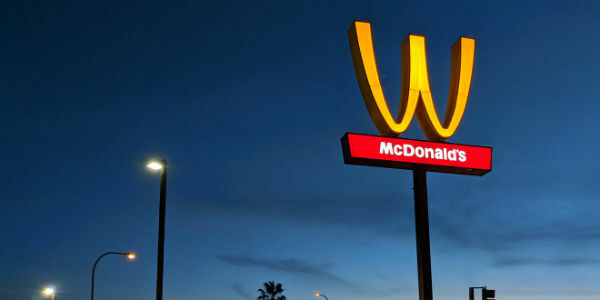 The post Digital Marketing News: International Women’s Day, Google Warning, Facebook Tops YouTube appeared first on Online Marketing Blog – TopRank®.